Today, the Federal Deposit Insurance Corporation (FDIC) released a Financial Institution Letter that applies to all FDIC-supervised institutions regarding the assessment approach used for evaluating customers. The letter encourages a risk-based approach in assessing the services that can be provided to customers, as opposed to denying banking services to entire categories of customers. The U.S. Small Business Administration (SBA) has announced today the threefold growth of the Impact Investment Fund of the Small Business Investment Company (SBIC) program. In the last 12 months, the fund has tripled. 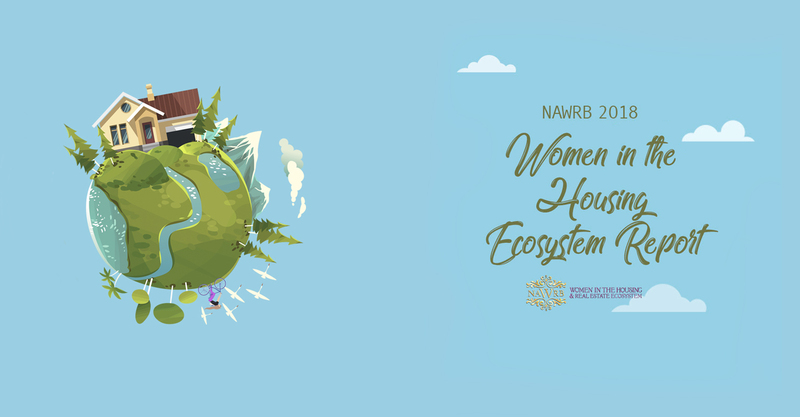 Irvine, CA – 01/5/2015 – Patty Arvielo, President of New American Funding, has become one of the latest members of the National Association of Women in Real Estate Businesses (NAWRB), adding to NAWRB’s collective voice for women in the housing economy. With over 30 years of experience in the mortgage industry, Arvielo has been instrumental in the creation and management of New American Funding and has played a vital role as an advocate for women in the real estate community. Her expertise has contributed to the rapid growth of New American Funding and has led to her inclusion in Housing Wire’s 2014 Influential Women in Housing list. Arvielo continues to build experience through her positions on multiple committees including the Mortgage Bankers Association Risk Management Committee, MBA’s Diversity and Inclusion Committee and the Freddie Mac Community Lender Advisory Board. 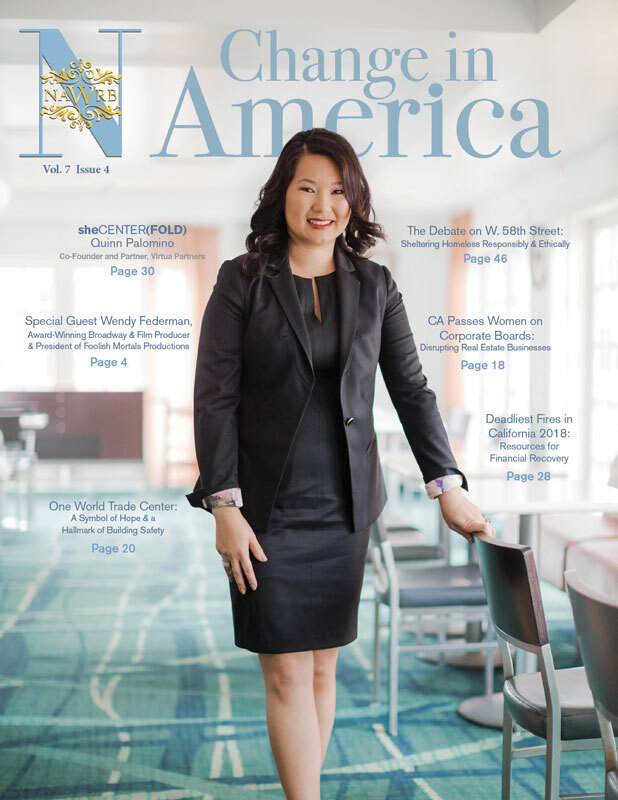 “I believe that the advancement of women in the housing economy is incredibly important. One of my personal objectives going into the New Year is to help empower women to rise up in the workplace and become strong leaders in their organization. 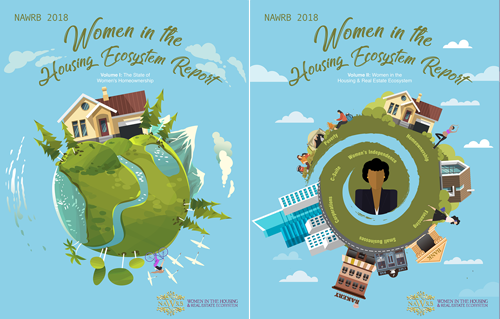 I joined NAWRB to help support its mission and to advocate for real estate women empowerment,” said Arvielo. A speaker for the NAWRB Inaugural Conference and recipient of the NAWRB Roaring Twenty Award, Arvielo has shown strong support for the association since before her membership. If the election showed the country nothing else, it showed that women, as a collective, have an undeniable voice in issues that matter. However, in the vastness that is American politics, one key issue was left unaddressed: How do the millions of women interested in accessing affordable housing make that dream a reality? Desirée Patno, the founder and national president of the National Association of Women REO Brokerages (NAWRB) and Desiree Patno Enterprises, Inc., has made it her life’s work to get women active in the homeownership process. She has spent more than 20 years in full-service REO as a broker and encourages women to get involved on both sides of the figurative fence. What is the biggest dilemma women face as they try to access housing in today’s market? A lack of knowledge is the biggest dilemma women face today as they try to access housing in today’s market. Regardless of gender, it is increasingly difficult to qualify for a mortgage, especially after the housing crisis of 2008. Knowledge is key; learn how to successfully position yourself financially before you buy a home. Women became a central piece of the conversation during this year’s election. What do you hope the president will do to help women access affordable housing? The Women-Owned Small Business (WOSB) Procurement Program implemented in 2011 is a tool the government uses to meet the target goal of 5 percent of contracts being awarded to women owned businesses. NAWRB’s coalition partner Women Impacting Public Policy (WIPP) just won a small battle by successfully adding an amendment to the FY13 National Defense Authorization Act (NDAA) that removes caps for the WOSB Federal Contract Program—a move that significantly benefits women business owners, like future women homeowners, giving them access to better revenue streams. President Obama’s administration will have to address the Federal Housing Administration’s tough current lending standards and first-time buyers’ negativity towards the housing market. There needs to be a specialized program that can keep the down payment at 3.5 percent for women head of households and education on the economic benefits of owning a home—from taxes to the long-term investment. Last year the Wall Street Journal ran a piece challenging the notion of single women buying homes. Is homeownership a good idea for women on their own? Over the past 40 years, the makeup of the business world has changed, including the perception and acceptance of single women as homeowners. Women tend to be more conservative in risk-taking, which means homeownership is a serious decision. In today’s economy, homeownership is still a good idea for single women interested in purchasing a home. Homeownership is also important for single women because of the economic benefits, especially with historically low-interest rates. In an effort to make home buying more accessible for first-timers, President Barack Obama has set out to decrease the Federal Housing Administration (FHA) mortgage-insurance premiums. The annual fees the FHA charges will be dropped by o.5 percentage points, according to two people with knowledge of Obama’s plans. The announcement is anticipated to be made in a speech in Phoenix on Thursday, according to Bloomberg. The FHA is required to keep enough money to cover all its projected losses in its $1.1 trillion portfolio and must manage a two percent cushion of its value —a level not projected to come until fiscal 2016. In the news, private mortgage insurers have taken a nose dive because they can’t compete with the government program. This is a developing news story.